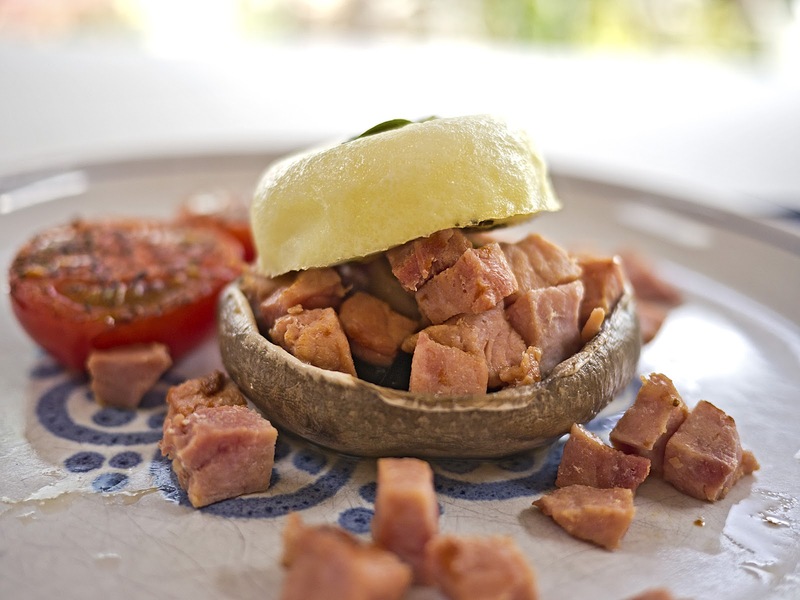 Having some cut-offs of gammon from yesterday's brunch, and a couple of flat mushrooms in the fridge, I came up with this idea. Simmer the mushrooms in plenty of water with the bouillon powder added. In a poaching pan, add the eggs with the celery and tarragon. Poach until done to your liking. Halve the tomatoes and top with the basil and a the vinegar. Grill for a few minutes. Sauté the chopped gammon in Fry Light until cooked. 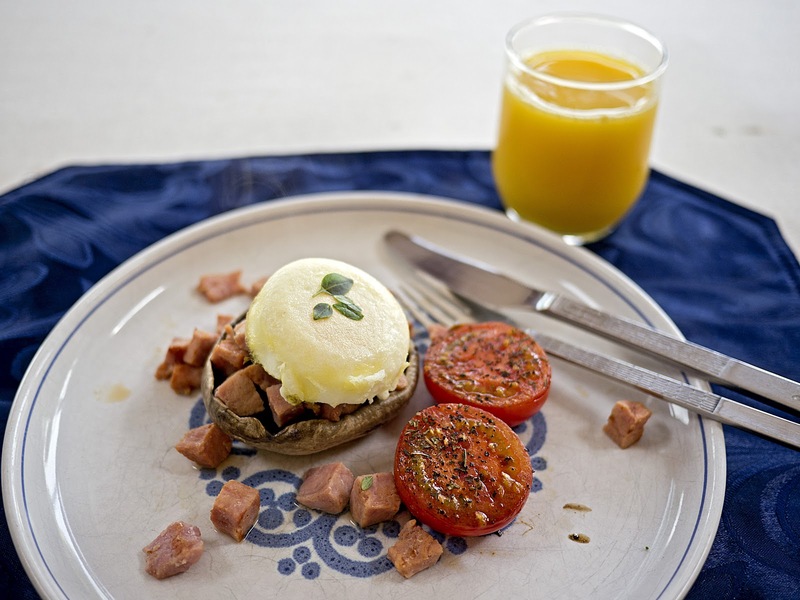 Place the mushroom on two plates, top with the gammon and then the eggs. 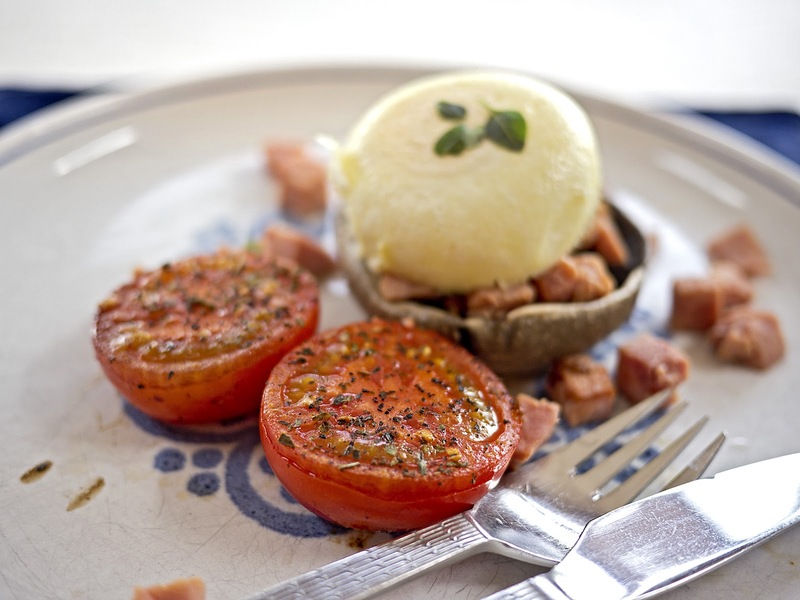 Serve with the grilled tomatoes.